We are in the midst of Spring and along with bringing warmer weather, it has also kicked off the festival and outdoor concert season for this year. The city of Miami recently hosted the Ultra Music Festival at its Historic Virginia Key Beach Park & Miami Marine Stadium. However, the Miami Herald has reported that the first day of the festival ended with a logistical meltdown when tens of thousands of concertgoers had to wait hours for shuttles off the island. The festival goers who chose not to wait for the shuttles has to walk for miles across the Rickenbacker Causeway just to be able to hail rides. If that were not enough, firefighters also had to rush to extinguish a tree that caught fire in an area sealed off from attendees as people left the festival grounds. Fortunately, no injuries were reported as a result of any of these incidents. However, crowds occur frequently in modern society. A major festival or outdoor concert can attract tens of thousands of avid fans. Usually, these large gatherings of people occur without serious problems, but unfortunately, every festival goer is not so lucky and injuries do happen. What Are Common Causes of Festivals and Outdoor Concerts Injuries? The fact that these kinds of accidents happen is something that no one would like to contemplate when buying tickets for an event. However, one report found that during a ten year period, almost 67,000 people incurred a significant injury and another 232 people died at 306 outdoor music concerts around the world. Further, when examining a longer period, the researchers found that at least 136 fatal incidents at concert events have not been scientifically explained. Unfortunately, these common causes can lead to severe injuries, including broken bones, spinal cord injuries, traumatic brain injuries and even death. Have You Been Injured at a Festival or Outdoor Concert? We understand that those who are tragically injured at a concert or other outdoor event are often dismissed by the event staff. Further, we understand that you may feel that you can’t file a legal lawsuit for your injuries because you were using recreational drugs or alcohol during the event. However, we sympathize with you and we are to help you, not judge you. Importantly, the fact that you may have let your hair down does not mean that you are automatically barred from recovering for your injuries. 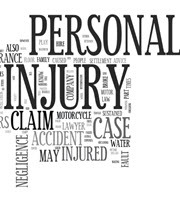 Contact the experienced Miami personal injury attorneys of The Pendas Law Firm today and we will help you recover the compensation you are entitled to. The Pendas Law Firm also represents clients in the Tampa, Orlando, Fort Lauderdale, Fort Myers, Daytona, Jacksonville, and Bradenton areas.